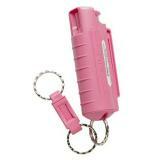 Easy to use, easy to carry and legal in all 50 states, personal pepper spray is the self defense option of choice for many Americans. At CopsPlus, our selection of personal defense sprays includes models from the world's finest manufacturers, including Sabre, Smith & Wesson and Mace. 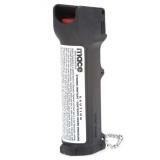 Personal pepper sprays are typically smaller than duty models, both to make them easier to carry and to comply with state laws. 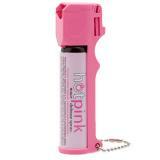 A typical personal spray is sized to fit in a pocket, bag or purse. 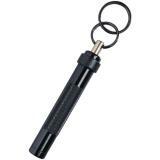 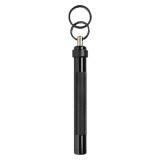 Keychain models are extremely popular due to their convenience and portability, and either feature a keyring built into the canister or come with a keychain-compatible carry case. 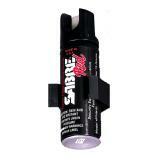 Jogger sprays include a built-in hand strap, allowing you to carry the canister securely as you run to keep it ready for immediate use. 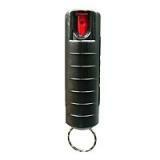 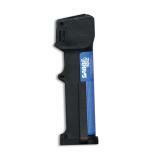 Some personal sprays also feature built-in flashlights, giving you an additional safety tool. 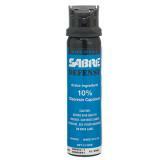 Like duty sprays, personal defense sprays use capsaicinoid chemicals to irritate the target's eyes, nose and mouth. 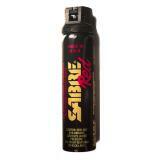 Some sprays also contain additional chemicals. 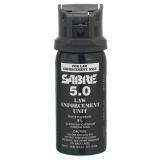 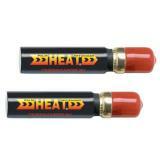 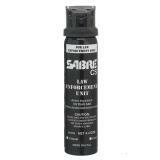 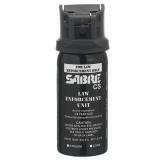 Combination pepper spray and CS formulas deliver a double blow for extreme stopping power. UV marker dyes are also commonly added to personal defense sprays to make it easier for law enforcement to identify an attacker. 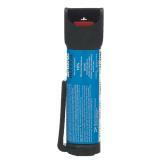 Different personal defense spray models use different dispersal patterns to achieve different effects. 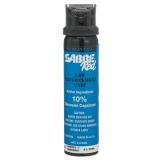 Cone sprays are extremely popular as their broad spray pattern reduces the need for accuracy, making them easier to use under pressure at close range. 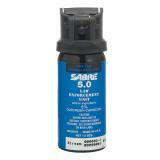 Stream patterns require more accuracy but also increase the spray's effective range. 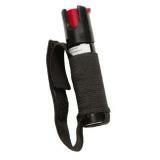 The powerful ballistic stream is also less affected by weather conditions. 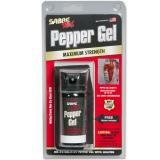 Many manufacturers also produce pepper gel and pepper foam formulas. 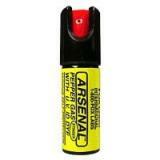 Gel sticks to the target's face, and the heavier droplets are less affected by crosswinds. 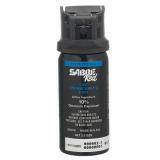 Foam also coats the target's face, and attempting to wipe it away only makes the effects more dramatic. 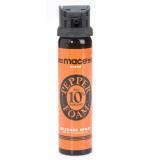 When browsing our selection of personal pepper sprays, don't forget that all of them are covered by our low price guarantee.